There are two takeaways from my friend’s story I consider relevant to girls today. One, choose the right friends. Don’t set yourself up for heartache by pursuing the wrong tribe. Be with the girls who want you – not the girls who confuse you. Life is hard enough, and friendships should bring you comfort, not additional stress. This is common sense, yet all too often, girls go barking up the wrong tree. They set their sights on the pretty/funny/cool/dynamic/exciting/popular girls – regardless of compatibility – and try to make it work. But in this narrow range of vision, they may miss the best friends of all: the consistently kind girls who aren’t the center of attention. The girls sitting on the wall who stay out of the drama. The second takeaway of this story is to cast a wide net. Be kind to everyone and keep your options open. Besides being the right thing to do, this is a wise thing to do, because kindness builds bridges. Kindness is good for the heart. Kindness can lead to an endless array of new friendships and extra sources of comfort should your core friends let you down. Even good friends disappoint each other at times, and especially in the season of fluid relationships, dynamics change quickly. Some friends grow apart, and when it’s a person you truly loved, it’s heartbreaking and sad. But if you make friends wherever you go, and bond with girls in a variety of settings – PE, creative writing, dance, music, church, camp, track, choir – you’ll always have people to turn to. You’ll have relationships in place that may be your saving grace during a hard time. Most importantly, you’ll discover the joy of building a diverse network of friends who positively impact you as you (hopefully) impact them. I believe it’s good to have best friends and also an intimate group. I wish every female could have a loyal and loving tribe, because being surrounded by friends and family devoted to your lifelong journey keeps you brave, strong, and encouraged. At the same time, it’s important to stretch. What healthy friend groups do is keep their borders flexible. They can mix and mingle with other groups and welcome new faces. A friend group should not a gang with restrictions of who leaves and who enters. A circle should not get so tight there isn’t room for new relationships or personal growth in its members. What often defines and divides teenagers – the sports you play, the clubs you’re in, the sorority/fraternity you join – become less relevant as you get older. If you’re friendly to everyone, even those who run in different circles and friend groups, you leave the door open to future relationships. You may become close friends 20 years from now when your paths cross again (because trust me they will, as people have a way of coming back into your life, so don’t burn bridges!). To try many different things so that one will have the best chance of finding what one wants. In short, casting a wide net increases the odds for success. It offers variety to better your chance of finding the right friends for you. My friend Alice, who counsels girls, encourages variety too. Alice tells her clients that friends are like jelly bellies: you may try one flavor and love it – then try another flavor and regret it. But, you needed to try both to know what you do and don’t like. Alice advises her clients to try different “flavors” of friends and then see which ones you want to go back to. Even the not-so-great friends have a teachable place by helping you discover what you don’t want. Real friends are a gift, and finding real friends requires being a real friend. If you haven’t found real friends yet, keep casting a wide net. Be kind to everyone (again, it’s the right thing to do and a wise thing to do) and pay attention to the people who aren’t the center of attention. If you have found your real friends…well, keep casting your net too. Don’t limit your friendships. Don’t paint yourself into a corner. Don’t get so cozy with your inner circle that you miss opportunities to make new friends and positively impact others wherever you may go. You don’t have to be best friends with everyone, but you can – and should – be kind. Learning to get along with a variety of people is a crucial life skill, and if you learn early how to make peace, how to appreciate the strengths of those who are different than you and find common ground, you set yourself for a great future of interesting and enriching relationships. And if you discover your friends aren’t really your friends, chalk it up as a lesson learned. Be kind but set boundaries as you pick up and move on. One day your story might be laughable, and your friendships may come full circle, but for now the pain is real. Just know you will get through it and hopefully use your experience to become a better friend and judge of character. After all, we all have our Asahi tennis shoes stories, and it’s those stories that make us stronger, smarter, and more certain than ever of the friend we need to be. 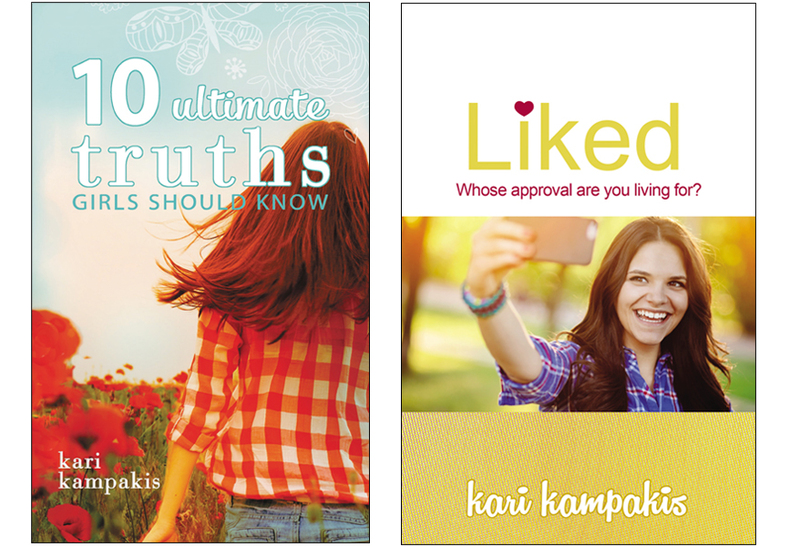 I’ve written two books for teen & tween girls designed to empower them through faith. Both Liked and 10 Ultimate Truths Girls Should Know have been used widely across the U.S. for small group studies. Finally, I’ll be in Franklin, TN, for a mother/daughter event at Franklin First UMC on Thursday, Nov. 15 at 6 p.m. My topic is “Fearless: Living a Life of Purpose, Passion, and Action”, and you can register/purchase tickets here. Please join us and bring your daughter, friends, a small group, a youth group, or your favorite girl age 5th grade and up. Love this, Kari!! So timely! 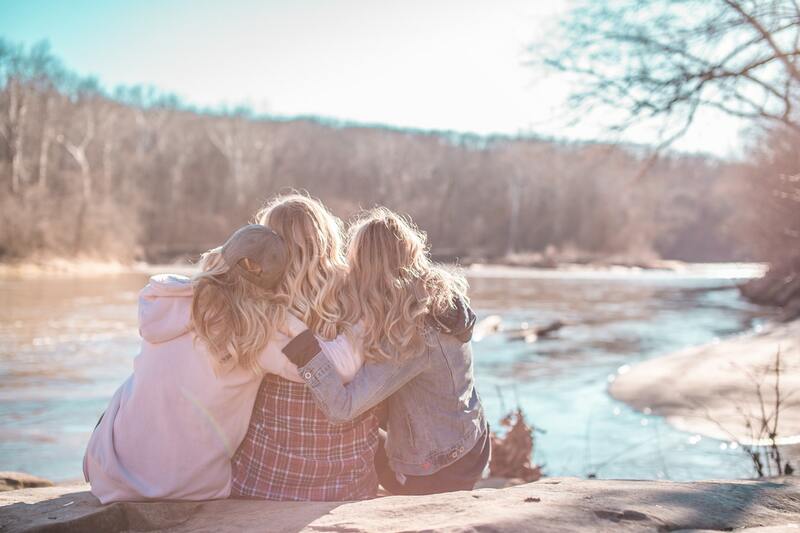 Love this article – thanks so much for sharing – just read it to my 10-year-old daughter and we had a great talk about friends, cliques, being kind to everyone, finding “her people” and not always trying to be friends with the “cool kids”, making new friends when she goes to camp and starts a new school in the fall, etc. etc. – SO HELPFUL to get the discussion going – THANK YOU! I am very moved by these wise words of advise. I’m 52 and have 3 kids, 2 sons and a daughter, who is 20. Navigating friends can be challenging at any age. And the message of kindness to all is timeless. I’d like to have permission to copy parts of this to share with a women’s group I will be leading next year. In fact, the title of your article would be a great theme for me. I would absolutely give you credit for all of it. And if I used just initials, ours would be the same. :) So I won’t do that. In response to my previous comment, I was just inspired for my theme by going in a parallel direction. I look forward to following you on social media. And I would still like your permission to share parts of this article with my women’s group.